'Zebra Milk' (Brad Kasperek, R. 2001). Seedling# 89F-4C. TB, 36" (91 cm), Midseason bloom. 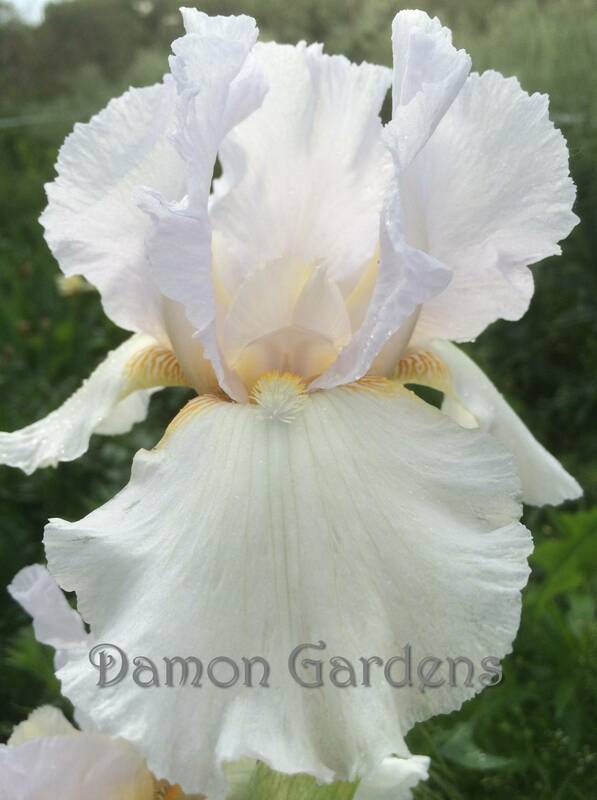 Lightly ruffled milk white (RHS 155C), slight pale lavender (69D) cast; beards yellow orange, lavender at end; foliage variegated; slight sweet fragrance. Ensminger variegated foliage seedling X 'Lady Madonna'. Zebra 2002. Honorable Mention 2006.